Social media is becoming more and more important in business. It allows you to engage your target audience directly, as well as serving as a valuable SEO and lead generation tool. Site Evaluator analyzes your use of social media using a variety of metrics. Here’s three ways on how to improve both your social media, and overall site score. This has quickly become a must-have on any website. If you are using social networks to reach out to consumers you absolutely need to have buttons linking to your accounts on every page. Make it easy for users to see how to connect with you. Oftentimes, social media is the place where people get to see a different, more personable side of the company. If this means more sales leads, you need to make sure to link to these accounts every chance you get. Engaging your audience does mean sharing content you have generated with your networks. It does not mean force feeding them your content. Don’t spam your followers, and be sure your content is actually interesting to them. If they start sharing or re-tweeting your posts you are in good shape. Also, take any opportunity you get to share their content, as long as it is relevant to your business. People love attention on social media. Klout is a service that measure how people interact with your posts and you with theirs. The more back and forth there is, the higher your influence score will be. 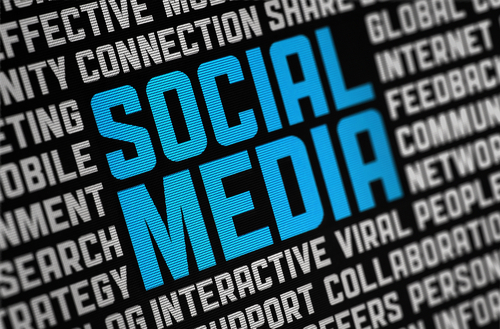 Inbound links from social media networks are becoming increasingly important. This is a huge part of inbound marketing. Make sure these links are connected to great content that will help retain user traffic. Once you have a good content generation system in place, people will take notice, and actively search for your content on social networks. Great content means more followers, which means more traffic, and that means more sales opportunities.